Preheat oven to 350 degrees. 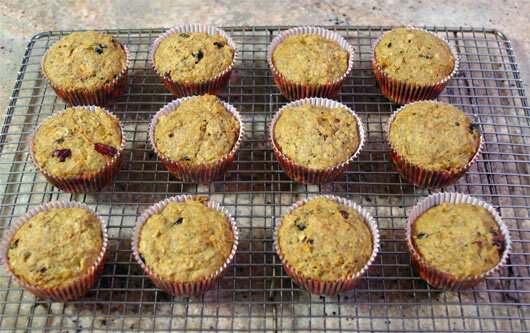 Line a 24 cup mini muffin pan with paper liners (or use 12 regular sized muffin papers). Whisk the flours and all dry ingredients together; set aside. Beat the egg, brown sugar and olive oil in a bowl until smooth. Add the vanilla, milk, fruit and vegetables and mix well. Pour the liquid into the dry ingredients and mix until just blended. Spoon batter into the muffin cups, until they are about 3/4 of the way full. Sprinkle the tops with brown sugar if desired. Bake at 350 degrees for 20-25 minutes. Remove from the pan and cool on a rack. 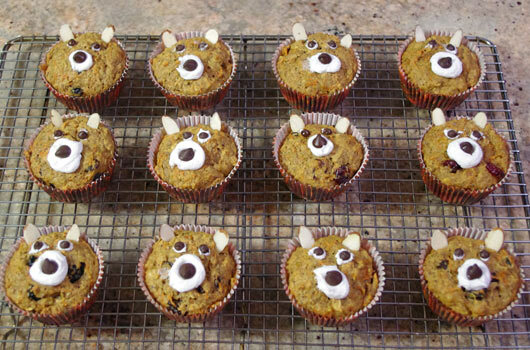 To give these healthy muffins more of a fun look, I used white icing, chocolate chips and sliced almonds to make them look like Teddy Bears. Kind of fun, right? 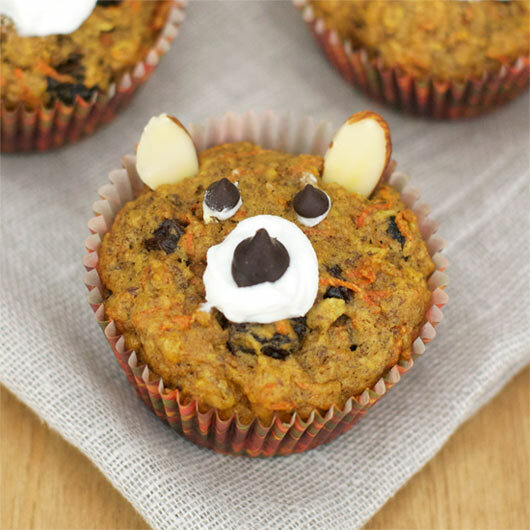 These muffins get an extra burst of nutrition and flavor from grated carrots and/or zucchini. 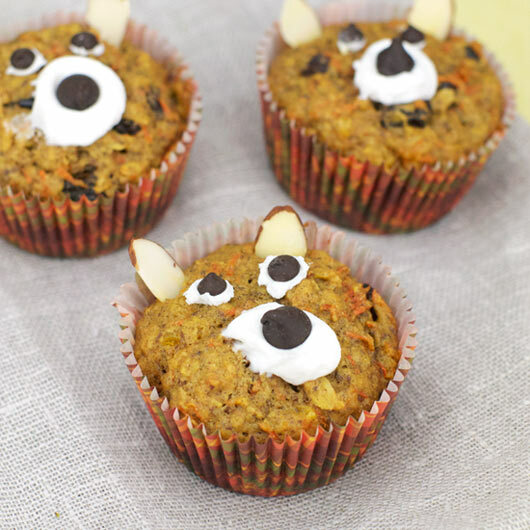 You can adjust the recipe by using the fresh or dried fruits you most prefer. Recipe number 2753. Submitted 2/8/2010.